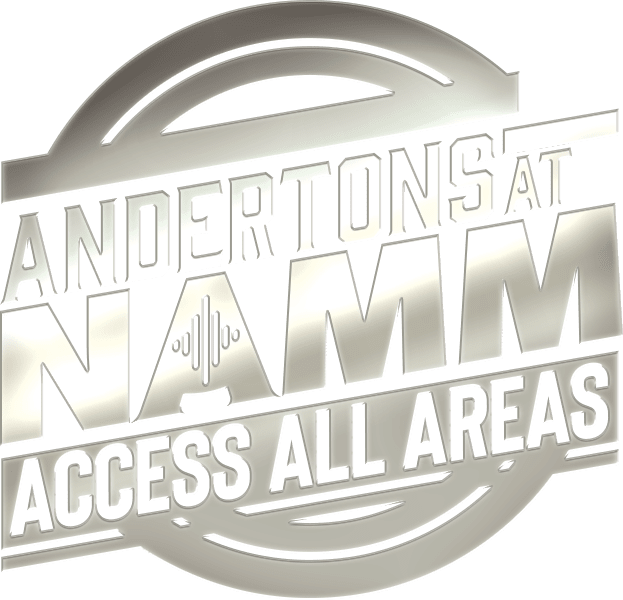 NAMM 2019: Taylor Grand Pacific Acoustic Guitars - Andertons Music Co. Brand new shape, sound and design from the master luthiers at one of the most loved acoustic makers in the world. There isn’t too much you can do to freshen up an acoustic guitar. So, when a company does something genuinely different and exciting, we as guitarists naturally flock to the concept. Taylor are the builders making the changes with the introduction of the Grand Pacific range. Similar to a dreadnought but with rounded shoulders instead of the normal straight edge shoulder, the Grand Pacific breathes new life into big-bodied acoustics. It's a brilliant take on that 'American' acoustic sound and perfect for the big, bold strummer in you. These guitars are founded upon the award-winning V-Class bracing, providing new sonic characteristics and stability when compared to standard X bracing. It allows for stronger projection and improved sustain, as well as more accurate intonation and a platform for chief builder Andy Powers to design the dramatic new voicing. Inspired by bluegrass, country and folk music, the Grand Pacifics offer a warm, seasoned sound unlike any of Taylor’s other modern releases. The broad tonality lends itself to overlapping notes yet maintain a crisp low end. Making them the perfect dreadnought-style studio addition. You’ll hear more consistency across the frequency spectrum than you would from other similar-sized guitars. The Grand Pacific line-up is divided into two Builder’s Editions: the 717 and 517, and the affordable 317. The 717 is made of a beautiful Indian Rosewood and torrefied Sitka Spruce top – meaning all impurities have been removed from the wood to improve response and sustain. Similarly, the 517 uses the torrefied Spruce but with Mahogany back and sides. The 317 has Sapele back and sides and a regular Sitka Spruce top, which are still brilliant tonewoods, but have a more accessible price point. Sound isn’t the only new aspect to the series. The bridge has been redesigned to make it more comfortable for the picking hand, while the rolled fretboard edges offer the same luxury for the fretting hand. The compound carved neck profile flows from a slight ‘V’ at the higher frets into a rounded ‘C’ towards the nut. Everything on the Grand Pacific range is sculpted to fit your natural body position – including the chamfered body edges. And finally, electro-acoustic models are equipped with the excellent Taylor-designed ES2 electronics. These are made to provide further clarity to low end frequencies when plugged in, as well as eliminate harsh feedback and natural hum to a degree of live pro quality.